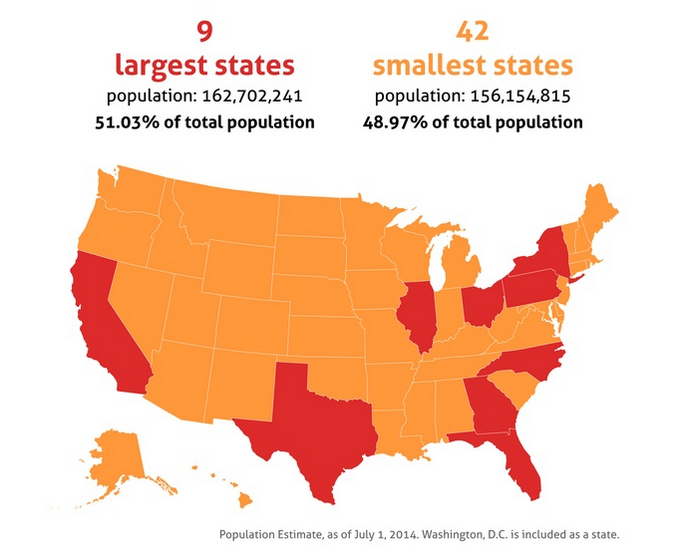 For example, in the map above, we see that 51 percent of the population lives in the country’s nine largest states. 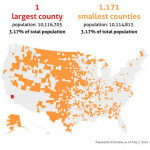 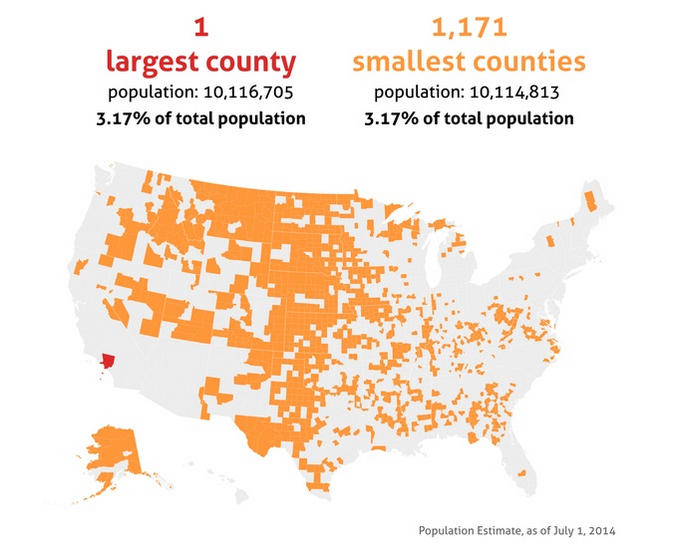 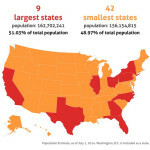 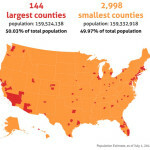 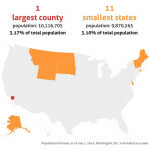 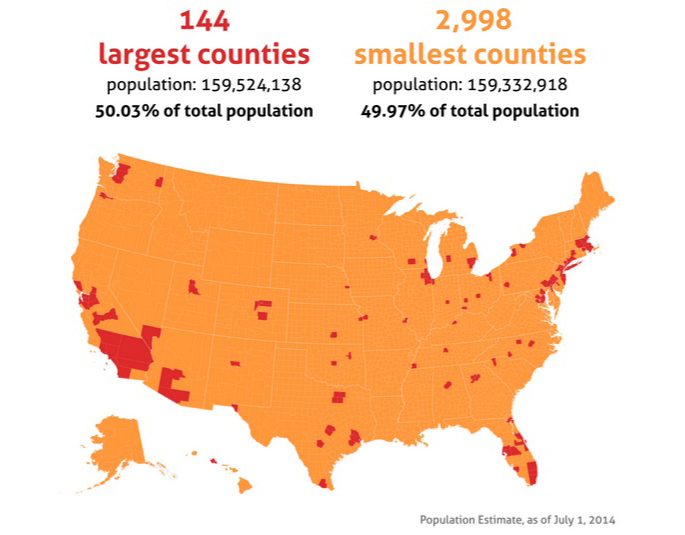 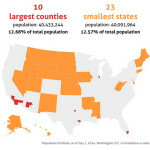 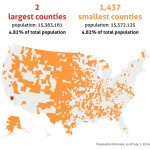 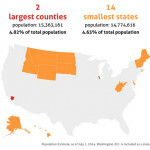 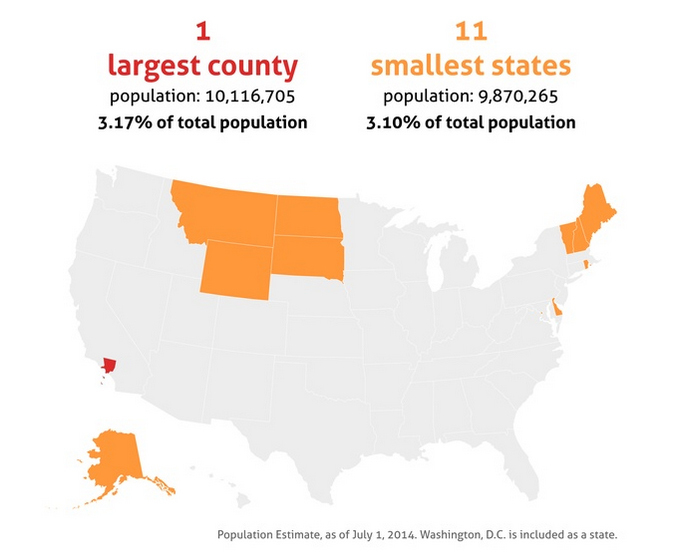 Other statistics visualized on the maps show that 50 percent of the population live in the 144 largest counties in the nation, and that the country’s largest county, located in southern California, has roughly the same population as the 11 smallest states. 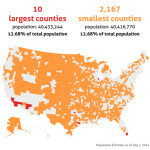 NYC aka New Netherland: Mapping the 11 Different Cultural ‘Nations’ Within the U.S.